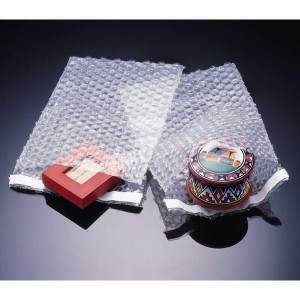 Take the "wrap" out of packaging with our bubble bags and bubble pouches. Save time, control material usage, and allow identification of the packaged product. Convenient resealable pressure-sensitive closure (lip and tape); available in bubble grades SC-120 (3/16 in.) and Anti-Static SB-110 (1/8 in.). 192757 3/16" 4" x 5.5" 1000 12 lbs. 5324 3/16" 6" x 8.5" 500 15 lbs. 49989 3/16" 7" x 11.5" 500 7.5 lbs. 5322 3/16" 8" x 11.5" 500 13 lbs. 192763 3/16" 8" x 15.5" 200 12 lbs. 192768 3/16" 8" x 17.5" 250 12 lbs. 49990 3/16" 10" x 15.5" 250 20 lbs. 192771 3/16" 12" x 11.5" 200 12 lbs. 184124 3/16" 12" x 15.5" 200 25 lbs. 192773 3/16" 12" x 23.5" 100 12 lbs. 328144 3/16" 15" x 17.5" 100 12 lbs. 289260 3/16" 18" x 24" 180 18 lbs. 317781 3/16" 4" x 6" 1000 7 lbs. 366646 3/16" 6" x 8.5" 500 6 lbs. 366647 3/16" 7" x 11.5" 500 11 lbs. 366648 3/16" 8" x 11.5" 500 15 lbs. 366649 3/16" 10" x 15.5" 250 10 lbs. 192776 3/16" 18" x 23.5" 100 12 lbs. Video: What can air pillow packaging do for you?